This page presents the activities of the PLDC Research Group in the ICTEAM Institute (formerly Department of Computing Science and Engineering (INGI)) at the Université catholique de Louvain (UCL) in Louvain-la-Neuve, Belgium. These activities have as general theme to increase the expressiveness of programming languages, with a special focus on support for distributed computing. Our research is a combination of theory and practice: new concepts are suggested by development needs, which leads both to theoretical results and system building. A well-known result of our work is the classic textbook Concepts, Techniques, and Models of Computer Programming, which we use for teaching at UCL and for which we provide a large amount of educational material. Important notice: the official Web site for Mozart is now www.mozart2.org. Our research vehicle is often the Mozart Programming System, a full-featured development platform based on the Oz multiparadigm programming language. Please subscribe to the Google Groups mozart-users and mozart-hackers to keep up with the latest developments on Mozart. Since 2014 we are organizing a two-part Massive Open Online Course (MOOC) on Paradigms of Computer Programming in the edX consortium. This year, the first part Louv1.1x will start on Sep. 26, 2016; please register here. The second part Louv1.2x will start on Nov. 7, 2016; please register here. MIT Press makes available part of our textbook without charge for students taking the MOOC. Arthur Paquot and Nathan Magrofuoco. Alice Umutoniwase. Évolution des systèmes de stockage et convergence des bases de données relationnelles et NoSQL. Partners: INRIA, Basho Technologies UK, Trifork A/S, Rovio Entertainment Oy, Universidade Nova de Lisboa, Université catholique de Louvain, Koç Üniversitesi, Technische Universität Kaiserslautern. Partners: Universitat Politècnica de Catalunya (UPC), Kungliga Tekniska Högskolan (KTH), Instituto Superior Técnico (IST), Université catholique de Louvain (UCL). Fellowship applications for 2016 will open in Oct. 2015. See the EMJD-DC Web site for the exact dates and instructions how to apply. The perfect way to join the PLDC research group! European Union 7FP, IST Software and Services. Partners: Université Paris Diderot, Edge-IT, Studi dell'Aquila, INESC-ID, Caixa Magica, Université Nice Sophia Antipolis, Tel Aviv University, ILOG, Université catholique de Louvain. The SELFMAN project is coordinated by P. Van Roy and started in June 2006. European Union 6FP, IST Priority 2, Software and Services. Partners: UCL, KTH, INRIA, France Telecom R&D, ZIB, NUS, Peerialism AB. European Union 6FP, IST Priority, Grid-based Systems for Complex Problem Solving. This is a Network of Excellence with 42 partners. UCL is a partner in the workpackage WP4 on system architecture. European Union 6FP, IST Priority, Proactive Initiative "Complex Systems Research"
This is an Integrated Project with 28 partners. UCL is a partner in subproject 3, whose goal is the investigation of scalable self-organizing decentralized systems, and in subproject 2, whose goal is the construction of a large distributed computing infrastructure and its use for the project. UCL is building an architecture for developing decentralized applications based on distributed components, using a structured overlay network as communications infrastructure. This project investigates all aspects of peer-to-peer computation, which is characterized by decentralization, scalability, dynamic topologies, and approximate consistency. We consider peer-to-peer as a general approach for building highly dynamic, robust, collaborative distributed applications. See the project Website for more information. Partners: Axel van Lamsweerde, Peter Van Roy, Jean-Jacques Quisquater. This project investigates how to build secure applications "vertically", starting from requirements and leading to architecture and implementation. As case studies we will use distributed secure applications on the Internet. The project's approach complements the usual horizontal approach to security, which investigates only a thin slice of the application development cycle. The relationship between computing technology and society is transitioning rapidly toward a new form of intimate interaction based on intelligent applications built with a combination of large-scale distributed computing and large-scale machine learning. Computing systems will learn to interact with us at a level much closer to human senses and abilities. For example, real-time audio language translation (using learning to map between phoneme sequences in different languages) and creative problem solving (brute force search tamed by domain knowledge and learning algorithms) are coming soon, in addition to many other abilities not yet clearly imagined. The Transreal Initiative aims to catalyze this transition by building bridges between the different stakeholders: large-scale distributed computing (especially clouds and peer-to-peer), large-scale machine learning, and many areas of domain knowledge. General overview given at FOSDEM 2007 as a lightning talk (Feb. 25, 2007). General overview given at MOZ 2004 (Oct. 7, 2004). General overview with emphasis on agents. The purpose of this project is to make Oz into a secure language based on the principle of least authority, supported by a cryptographically secure version of Mozart (see the report on secure distribution in Mozart). With such a language, many important security problems become much easier to solve. Examples of such problems are protection against computer viruses and the so-called trade-off between security and usability. This project is inspired by and collaborates with the E Project. This research focuses on a comprehensive concepts-based approach to teach programming that is both broad and deep. The approach has been used at several dozen universities worldwide since 2001, in second-year through graduate courses. A detailed presentation and assessment of the approach after six years of teaching second-year engineering students at UCL is given in the paper The CTM Approach for Teaching and Learning Programming. The approach is supported by a textbook, Concepts, Techniques, and Models of Computer Programming (also known as CTM, published by MIT Press in March 2004), and a French translation, Programmation: Concepts, techniques et modèles (published by Dunod Éditeur in Sep. 2007). The latter is accompanied by the Labo interactif, an exploration and learning tool published by ScienceActive. We make available course material for both textbooks in English and in French. A Polish translation was published by Helion in 2005 and a Japanese translation was published by Shoeisha in 2007. A Spanish translation is on the way. First-year programming based on multiagent microworlds: We have just completed a first-year course based on a progression of multiagent microworlds. This allows the students to learn concepts in a first-year course that would typically only be seen in much more advanced courses. The course uses a programming environment, LogOz, written in Mozart. The course material and software are available here (in French). Teaching formal methods with MPVS: Isabelle Dony has built a practical tool, MPVS, to help students understand how to reason about imperative programs using specifications, loop invariants, and problem decomposition. MPVS does symbolic calculations using constraint programming to check verification conditions. MPVS is written in Mozart and is documented in Dony's dissertation Design, Implementation, and Evaluation of MPVS: A Tool to Support the Teaching of a Programming Method. It is available with full source code at SourceForce.net under the GNU GPL free software license. This work was done under the supervision of Baudouin Le Charlier. MOZ 2004 brought together researchers, developers, educators, and users interested in the Oz language and the Mozart development platform. As the participants can confirm, it was an intense and exciting event with much animated discussion. An extended version of the proceedings was published in March 2005 as Springer-Verlag Lecture Notes in Computer Science volume 3389 with a foreword written by Peter Norvig of Google. This research focuses on the high-level creation of user interfaces based on symbolic data structures. This allows the concise definition of context-sensitive, dynamic interfaces. The research vehicle is QTk, a user interface building tool that is part of the Mozart system. The abilities of QTk are illustrated by FlexClock (paper), a simple clock utility. This research focuses on how to clearly separate the concerns of application functionality, distribution structure, fault tolerance, openness, and security. We take language design into account and build real systems to test our hypotheses. This talk explains our vision in more detail. Beernet: The Relaxed Beer-to-Beer Network: A transactional storage service built on top of a structured peer-to-peer network. Programmation: Labo interactif (Interactive programming laboratory) (in French): Software complement to the book Programmation: Concepts, techniques et modèles. Mozart Programming System: An advanced development platform for intelligent, distributed applications based on the Oz multiparadigm language. Version 1.4.0 was released on July 3, 2008. Version 2.0 with a completely redesigned and reimplemented emulator was released in 2013. Important notice: the official Web site for Mozart is now www.mozart2.org. Oz Minesweeper (paper): A program written in Mozart/Oz that plays the minesweeper game using constraints to find safe squares. FlexClock (paper): A program written in Mozart/Oz that implements a clock utility with a dynamically adaptive display. Best project awards for course SINF2345 (Spring 2010): Full source code for the best student projects in an advanced undergraduate distributed algorithms course. Deepthi Devaki Akkoorath, Alejandro Tomsic, Manuel Bravo, Zhongmiao Li, Tyler Crain, Annette Bieniusa, Nuno Preguiça, and Marc Shapiro. Cure: Strong Semantics Meets High Availability and Low Latency, 36th IEEE International Conference on Distributed Computer Systems (ICDCS 2016), Nara, Japan, June 27-30, 2016. Seyed Hossein Haeri, Peter Van Roy, Carlos Baquero, and Christopher Meiklejohn. Worlds of Events: Deduction with Partial Knowledge about Causality, ICE 2016 (9th Interaction and Concurrency Experience Workshop) (colocated with DisCoTec 2016), Heraklion, Greece, June 8-9, 2016. Ruma Rani Paul, Peter Van Roy, and Vladimir Vlassov. Reversible Phase Transitions in a Structured Overlay Network with Churn (talk slides), International Conference on Networked Systems (NETYS 2016), Marrakech, Morocco, May 18-20, 2016. Paolo Viotti, Christopher Meiklejohn, and Marko Vukoli&cacute;. Towards Property-Based Consistency Verification, PaPoC 2016 (Workshop on Principles and Practice of Consistency for Distributed Data) (colocated with EuroSys 2016), London, UK, April 18, 2016. Carlos Bartolomeu, Manuel Bravo, and Luís Rodrigues. Dynamic Adaptation of Geo-Replicated CRDTs, 31st ACM/SIGAPP Symposium on Applied Computing (SAC 2016), Pisa, Italy, April 4-8, 2016. Seyed Hossein Haeri and Sibylle Schupp. Expression Compatibility Problem, 7th International Symposium on Symbolic Computation in Software Science (SCSS 2016), Tokyo, Japan, Mar. 28-31, 2016. Christopher Meiklejohn. Declarative, Secure, Convergent Edge Computation, Off the Beaten Track (OBT 2016, colocated with POPL 2016), St. Petersburg, Florida, Jan. 23, 2016. Christopher Meiklejohn, Seyed Hossein Haeri, and Peter Van Roy. Declarative, Sliding Window Aggregations for Computations at the Edge, 1st International Workshop on Edge Computing (EdgeCom 2016, colocated with CCNC 2016), Las Vegas, NV, Jan. 9-12, 2016. Deepthi Devaki Akkoorath, Alejandro Tomsic, Manuel Bravo, Zhongmiao Li, Tyler Crain, Annette Bieniusa, Nuno Preguiça, and Marc Shapiro. Cure: Strong Semantics Meets High Availability and Low Latency, INRIA Research Report No. 8858, Jan. 2016. Jérémie Melchior. A Model-Based Approach for Dynamically Distributing Graphical User Interfaces Based on their Properties, Graphs, and Scenarios, Ph.D. dissertation, ICTEAM Institute, Université catholique de Louvain, Jan. 2016. Ruma R. Paul, Peter Van Roy, and Vladimir Vlassov. Interaction Between Network Partitioning and Churn in a Self-Healing Structured Overlay Network, 21st IEEE International Conference on Parallel and Distributed Systems (ICPADS 2015), Melbourne, Australia, Dec. 14-17, 2015. Manuel Bravo, Luís Rodrigues, and Peter Van Roy. Towards a Scalable, Distributed Metadata Service for Causal Consistency under Partial Geo-replication, Middleware 2015 Doctoral Symposium, Vancouver, BC, Dec. 7-11, 2015. Manuel Ferreira, João Paiva, Manuel Bravo, and Luís Rodrigues. SmartFetch: Efficient Support for Selective Queries, 7th IEEE International Conference on Cloud Computing Technology and Science (CloudCom 2015), Vancouver, BC, Nov. 30-Dec. 3, 2015. Iwan Briquemont, Manuel Bravo, Zhongmiao Li, and Peter Van Roy. Conflict-free Partially Replicated Data Types (talk slides), 7th IEEE International Conference on Cloud Computing Technology and Science (CloudCom 2015), Vancouver, BC, Nov. 30-Dec. 3, 2015. Ruma Rani Paul. An Empirical Study of the Global Behavior of Structured Overlay Networks as Complex Systems (talk slides), Licentiate Thesis, Royal Institute of Technology, Stockholm, Sweden, Oct. 20, 2015. Christopher Meiklejohn and Peter Van Roy. Selective Hearing: An Approach to Distributed, Eventually Consistent Edge Computation, Workshop on Planetary-Scale Distributed Systems (W-PSDS 2015, colocated with SRDS 2015), Montreal, Quebec, Sep. 28, 2015. Sébastien Combéfis, Corentin Vande Kerckhove, and Peter Van Roy. Transforming a University Course into a Two-public Sustainable MOOC, HybridEd Workshop on MOOC-based Models for Hybrid Pedagogies, Toledo, Spain, Sep. 18, 2015. Christopher Meiklejohn and Peter Van Roy. The Implementation and Use of a Generic Dataflow Behaviour in Erlang, 14th ACM SIGPLAN Erlang Workshop, Vancouver, BC, Sep. 4, 2015. Christopher Meiklejohn and Peter Van Roy. 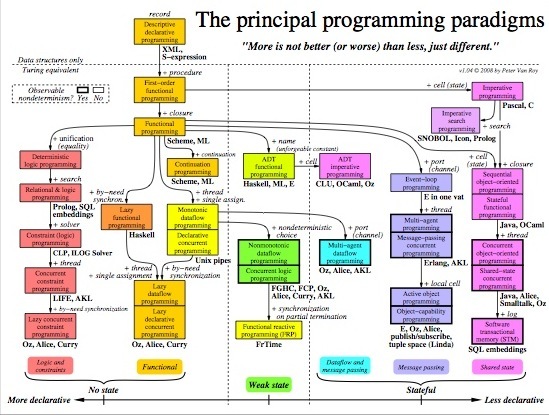 Lasp: A Language for Distributed, Coordination-Free Programming (talk slides), PPDP 2015 (17th International Symposium on Principles and Practice of Declarative Programming), Siena, Italy, July 14-16, 2015. Sébastien Combéfis and Peter Van Roy. Three-Step Transformation of a Traditional University Course into a MOOC: A LouvainX Experience, EMOOCS 2015 (Third MOOC European Stakeholders Summit), Mons, Belgium, May 18-20, 2015. Guillaume Derval, Anthony Gégo, Pierre Reinbold, Benjamin Frantzen, and Peter Van Roy. 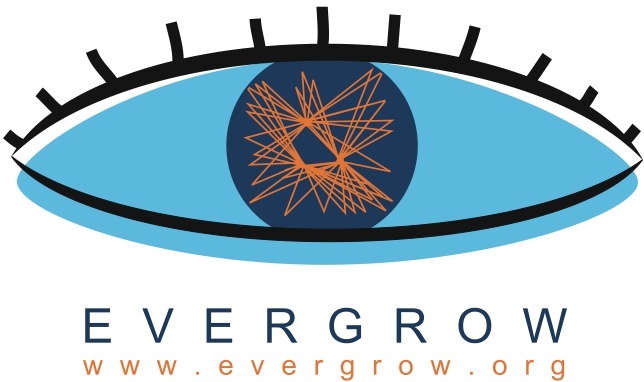 Automatic Grading of Programming Exercises in a MOOC Using the INGInious Platform, EMOOCS 2015 (Third MOOC European Stakeholders Summit), Mons, Belgium, May 18-20, 2015. Manuel Bravo, Paolo Romano, Luís Rodrigues, and Peter Van Roy. Reducing the Vulnerability Window in Distributed Transaction Protocols, PaPoC 2015 (Workshop on Principles and Practice of Consistency for Distributed Data) (colocated with EuroSys 2015), Bordeaux, France, April 21, 2015. Christopher Meiklejohn and Peter Van Roy. Lasp: A Language for Distributed, Eventually Consistent Computations with CRDTs, PaPoC 2015 (Workshop on Principles and Practice of Consistency for Distributed Data) (colocated with EuroSys 2015), Bordeaux, France, April 21, 2015. Ruma Rani Paul and Peter Van Roy. An Empirical Study of the Global Behavior of a Structured Overlay Network, IEEE International Conference on Peer-to-Peer Computing, London, England, Sep. 8-12, 2014. Manuel Bravo, Zhongmiao Li, Peter Van Roy, and Christopher Meiklejohn. Derflow: Distributed Deterministic Dataflow Programming for Erlang, 13th ACM SIGPLAN Erlang Workshop, Göteborg, Sweden, Sep. 5, 2014. Iwan Briquemont. Optimising Client-side Geo-replication with Partially Replicated Data Structures, Master's thesis, ICTEAM Institute, Université catholique de Louvain, Aug. 2014. Benoit Daloze. Extending Mozart 2 to Support Multicore Processors, Master's thesis, ICTEAM Institute, Université catholique de Louvain, June 2014. Francois Fonteyn. Comprehensions in Mozart, Master's thesis, ICTEAM Institute, Université catholique de Louvain, June 2014. Denis Michiels. Fractalide: HyperCard on Flow-based Programming, Master's thesis, ICTEAM Institute, Université catholique de Louvain, June 2014. Sébastien Combéfis, Adrien Bibal, and Peter Van Roy. Recasting a Traditional Course into a MOOC by Means of a SPOC, EMOOCS 2014 (Second MOOC European Stakeholders Summit), Lausanne, Switzerland, Feb. 10-12, 2014. Gustavo Gutiérrez, Peter Van Roy, and Sascha Van Cauwelaert. Implementation of the Relation Domain for Constraint Programming, TRICS 2013 (Workshop on Techniques for Implementing Constraint Programming Systems) (colocated with CP2013), Sep. 16, 2013. Gustavo Gutiérrez, Andres Felipe Barco, Miguel Angel Villanueva, Alejandro Cardona, Daniel Montenegro, Sebastián Miller, Juan Francisco Díaz, Camilo Rueda, and Peter Van Roy. The Mozart Constraint Subsystem: System Presentation, TRICS 2013 (Workshop on Techniques for Implementing Constraint Programming Systems) (colocated with CP2013), Sep. 16, 2013. Nicolas Brack. Conflict-free replicated data types and distributed concurrent constraint programming, Master's thesis, ICTEAM Institute, Université catholique de Louvain, Aug. 2013. Raphael Bauduin. A Modular Oz Compiler for the New 64-bit Mozart Virtual Machine, Master's thesis, ICTEAM Institute, Université catholique de Louvain, June 2013. Nicolas Varotto. Designing Robust Adaptive Software with Feedback Structures, Master's thesis, ICTEAM Institute, Université catholique de Louvain, June 2013. Sébastien Doeraene and Peter Van Roy. A New Concurrency Model for Scala Based on a Declarative Dataflow Core, Fourth Annual Scala Workshop (colocated with ECOOP, ECMFA, and ECSA), Montpellier, France, July 1-2, 2013. Jérémie Melchior, Jean Vanderdonckt, and Peter Van Roy. A Comparative Evaluation of User Preferences for Extra-User Interfaces, International Journal of Human-Computer Interaction, 28(11), Nov. 2012, pages 760-767. Sascha Van Cauwelaert, Gustavo Gutiérrez, and Peter Van Roy. Practical Uses of Constraint Programming in Music using Relation Domains, Korean Electro-Acoustic Music Society Annual Conference (KEAMS 2012), Seoul, South Korea, Oct. 26-27, 2012. Sébastien Doeraene. Ozma, an Extension of Scala with Oz Concurrency, invited talk, Strange Loop 2012, St. Louis, MI, Sep. 23-25, 2012. Sascha Van Cauwelaert, Gustavo Gutiérrez, and Peter Van Roy. A New Approach for Constraint Programming in Music Using Relation Domains, ICMC 2012 (International Computer Music Conference), Ljubljana, Slovenia, Sep. 9-15, 2012. Cédric Snauwaert and Bernard Paulus. Simulating Human Cognition Using Confabulation, Master's thesis, ICTEAM Institute, Université catholique de Louvain, Aug. 2012. Daire O'Doherty, Salim Jouili, and Peter Van Roy. Trust-Based Recommendation: An Empirical Analysis, Sixth ACM Workshop on Social Network Mining and Analysis (SNA-KDD 2012), Beijing, China, Aug. 12, 2012. Géry Debongnie, Raphaël Collet, Sébastien Doeraene, and Peter Van Roy. Modular Fault Handling in a Network-Transparent Language, 5th International Workshop on Exception Handling (WEH 12), Zurich, Switzerland, June 9, 2012. Daire O'Doherty. Structural Trust Inference for Social Recommendation, Master's thesis, ICTEAM Institute, Université catholique de Louvain, June 2012. Daire O'Doherty, Salim Jouili, and Peter Van Roy. Towards Trust Inference from Bipartite Social Networks, Second ACM SIGMOD Workshop on Databases and Social Networks (DBSocial 2012), Scottsdale, AZ, May 20, 2012. Jérémie Melchior, Jean Vanderdonckt, and Peter Van Roy. Modelling and Developing Distributed User Interfaces based on Distribution Graph, RCIS 2012 (Sixth International Conference on Research Challenges in Information Science), Valencia, Spain, May 16-18, 2012. Jérémie Melchior, Boris Mejías, Yves Jaradin, Peter Van Roy, and Jean Vanderdonckt. Improving DUIs with a Decentralized Approach with Transactions and Feedbacks, DUI 2012 (2nd Workshop on Distributed User Interfaces: Collaboration and Usability), colocated with CHI 2012, Austin, TX, May 5-6, 2012. Peter Van Roy, Raphaël Collet, Sébastien Doeraene, and Géry Debongnie. Modular fault tolerance in a network-transparent language (talk slides), position paper, LADA 2012 workshop (Languages for Distributed Algorithms), colocated with POPL 2012, Philadelphia, PA, Jan. 23-24, 2012. Peter Van Roy and Sébastien Doeraene. Ozma: Extending Scala with Oz Concurrency (slides), invited talk, QCon International Software Development Conference, San Francisco, CA, Nov. 16-18, 2011. Thibault Dory and Peter Van Roy. Elasticity as a Criterion for Choosing a Cloud Database, 3rd Cloud Computing International Conference, Porto, Portugal, Nov. 4, 2011. Thibault Dory, Boris Mejías, Peter Van Roy, and Nam-Luc Tran. Measuring Elasticity for Cloud Databases, Cloud Computing 2011 (Second International Conference on Cloud Computing, GRIDs, and Virtualization), Rome, Italy, Sep. 25-30, 2011. Best Paper Award. Xavier De Coster, Matthieu Ghilain, Boris Mejías, and Peter Van Roy. Designing an Elastic and Scalable Social Network Application, Cloud Computing 2011 (Second International Conference on Cloud Computing, GRIDs, and Virtualization), Rome, Italy, Sep. 25-30, 2011. Best Paper Award. Xavier De Coster and Matthieu Ghilain. Designing an Elastic and Scalable Social Network Application, Master's thesis, ICTEAM Institute, Université catholique de Louvain, Aug. 2011. Sébastien Doeraene. Ozma: Extending Scala with Oz Concurrency, Master's thesis, ICTEAM Institute, Université catholique de Louvain, June 2011. Source code available at Ozma on GitHub. See the Interview on jaxenter. Thibault Dory. Study and Comparison of Elastic Cloud Databases: Myth or Reality?, Master's thesis, ICTEAM Institute, Université catholique de Louvain, June 2011. Sascha Van Cauwelaert. Application de la Programmation par Contraintes Relationnelles à l'Analyse et à la Composition Musicales (Application of Relational Constraint Programming to Musical Analysis and Composition), Master's thesis, ICTEAM Institute, Université catholique de Louvain, June 2011. Jérémie Melchior, Jean Vanderdonckt, and Peter Van Roy. A Model-Based Approach for Distributed User Interfaces, ACM SIGCHI Symposium on Engineering Interactive Computer Systems (EICS 2011), Pisa, Italy, June 13-16, 2011. John Ardelius and Boris Mejías. Modeling the Performance of Ring-Based DHTs in the Presence of Network Address Translators, 11th IFIP International Conference on Distributed Applications and Interoperable Systems (DAIS 2011, part of DisCoTec 2011), Reykjavik, Iceland, June 6-9, 2011. Jérémie Melchior, Jean Vanderdonckt, and Peter Van Roy. Distribution Primitives for Distributed User Interfaces, Distributed User Interfaces 2011 (DUI 2011, workshop at CHI 2011), Vancouver, BC, May 7-12, 2011. Peter Van Roy, Seif Haridi, and Alexander Reinefeld. Designing Robust and Adaptive Distributed Systems with Weakly Interacting Feedback Structures, Research Report RR2011-01, ICTEAM Institute, Université catholique de Louvain, Jan. 2011. Peter Van Roy. The CTM Approach for Teaching and Learning Programming, Chapter 5, Horizons in Computer Science Research, Volume 2, Nova Science Publishers, Jan. 2011, pages 101-126. Boris Mejías. Beernet: A Relaxed Approach to the Design of Scalable Systems with Self-Managing Behaviour and Transactional Robust Storage, Ph.D. dissertation, ICTEAM Institute (formerly Department of Computing Science and Engineering), Université catholique de Louvain, Oct. 2010. The ideas of this dissertation are implemented in the Beernet library. Boris Mejías and Peter Van Roy. Beernet: Building Self-Managing Decentralized Systems with Replicated Transactional Storage. IJARAS: International Journal of Adaptive, Resilient, and Autonomic Systems, Jul.-Sep. 2010, Vol. 1, No. 3, pp. 1-24. This article was chosen as Best Published Journal Article in IJARAS for 2010 (IGI Global Fourth Annual Excellence in Research Journal Awards). Peter Van Roy. Scale and Design for Peer-to-Peer and Cloud (slides), invited talk, Conference on Matters of Scale, TTI Vanguard, London, UK, July 20-21, 2010. This talk distills our experience on how to build large complex systems and introduces the three most important Laws of Scalability. Boris Mejías, John Thomson, Gustavo Gutiérrez, Paulo Trezentos, and Peter Van Roy. Lock-Free Decentralized Storage for Transactional Upgrade Rollback, Workshop on Collaborative Peer-to-peer Systems (COPS'10) at WET-ICE 2010, June 28, 2010. Peter Van Roy. Le cloud computing est tout sauf un hype (Cloud computing is anything but hype), interview (in French), Finance Management CFO Magazine, Numéro 38, June 2010, pages 24-25. Peter Van Roy, Seif Haridi, Alexander Reinefeld, and Jean-Bernard Stefani. The Clouds of Revolution, editorial, Jan. 2010 (talk slides). Short version to appear in Public Service Review, European Union, Issue 19, March 2010. Boris Mejías and Peter Van Roy. From Mini-Clouds to Cloud Computing, Workshop on Architectures and Languages for Self-Managing Distributed Systems, part of SASO 2009, San Francisco, CA, Sep. 15, 2009. Alexandre Bultot. A Survey of Systems with Multiple Interacting Feedback Loops and Their Application to Programming, Master's thesis, Department of Computing Science and Engineering, Université catholique de Louvain, August 2009. Simulator code and examples. Jérémie Melchior, Donatien Grolaux, Jean Vanderdonckt, and Peter Van Roy. A Toolkit for Peer-to-Peer Distributed User Interfaces: Concepts, Implementation, and Applications, ACM SIGCHI Symposium on Engineering Interactive Computer Systems (EICS 2009), Pittsburgh, PA, July 14-17, 2009. Boris Mejías, Alfredo Cádiz, and Peter Van Roy. Beernet: RMI-Free Peer-to-Peer Networks, First International Workshop on Distributed Objects for the 21st Century, colocated with ECOOP 2009, Genova, Italy, July 7, 2009. Boris Mejías, Jérémie Melchior, and Yves Jaradin. DeTransDraw: Decentralized Transactional Collaborative Drawing, demonstrator, Internet of Services 2009 Collaboration Meeting, Brussels, Belgium, June 10-11, 2009. Peter Van Roy. Programming Paradigms for Dummies: What Every Programmer Should Know, New Computational Paradigms for Computer Music, G. Assayag and A. Gerzso (eds. ), IRCAM/Delatour France, June 2009. Alfredo Cádiz, Boris Mejías, Jorge Vallejos, Kim Mens, Peter Van Roy, and Wolfgang de Meuter. PALTA: Peer-to-Peer Adaptable Topology for Ambient Intelligence, XXVII International Conference of the Chilean Computer Science Society (SCCC 2008), Punta Arenas, Chile, Nov. 13-14, 2008. Boris Mejías, Alfredo Cádiz, Peter Van Roy, and Kim Mens. A Self-Adaptable Network Topology for Ambient Intelligence, Workshop on Decentralized Self Management for Grids, P2P, and User Communities, part of SASO 2008, Venice, Italy, Oct. 21, 2008. Gustavo Gutiérrez, Boris Mejías, Peter Van Roy, Diana Velasco, and Juan Torres. WSN and P2P: A Self-Managing Marriage, Workshop on Decentralized Self Management for Grids, P2P, and User Communities, part of SASO 2008, Venice, Italy, Oct. 21, 2008. Peter Van Roy. Overcoming Software Fragility with Interacting Feedback Loops and Reversible Phase Transitions, First International Conference on Visions of Computer Science (BCS08), London, UK, Sep. 22-24, 2008 (talk slides). Boris Mejías, Mikael Högqvist, and Peter Van Roy. Visualizing Transactional Algorithms for DHTs, Eighth International Conference on Peer-to-Peer Computing (P2P 2008), Aachen, Germany, Sep. 8-11, 2008. Boris Mejías and Peter Van Roy. The Relaxed Ring: A Fault-Tolerant Topology for Structured Overlay Networks, Journal of Parallel Processing Letters, 18(3), Sep. 2008. Peter Van Roy. The Challenges and Opportunities of Multiple Processors: Why Multi-Core Processors are Easy and Internet is Hard, position statement, panel discussion on Reinventing Audio and Music Computation for Many-Core Processors, at the International Computer Music Conference (ICMC 2008), Belfast, Ireland, Aug. 24-29, 2008. Peter Van Roy. A self-managing peer-to-peer network, eStrategies Magazine, June 2008. Peter Van Roy, Seif Haridi, Alexander Reinefeld, Jean-Bernard Stefani, Roland Yap, and Thierry Coupaye. Self Management for Large-Scale Distributed Systems: An Overview of the SELFMAN Project, Springer LNCS, 2008. Revised postproceedings of FMCO 2007, Amsterdam, The Netherlands, Oct. 2007. Peter Van Roy. Les Principaux Paradigmes de Programmation (The Principal Programming Paradigms), invited talk (in French), Université Pierre et Marie Curie, Paris, France, Jan. 11, 2008 (talk slides in French, English poster in JPEG). Earlier version given at colloquium Nouveaux Paradigmes pour l'Informatique Musicale (New Computational Paradigms for Computer Music), IRCAM, Paris, France, June 11, 2007. Raphaël Collet. The Limits of Network Transparency in a Distributed Programming Language, Ph.D. dissertation, Department of Computing Science and Engineering, Université catholique de Louvain, Dec. 2007. The ideas of this dissertation are implemented in Mozart Version 1.4.0, released on July 3, 2008. Boris Mejías and Peter Van Roy. A Relaxed-Ring for Self-Organising and Fault-Tolerant Peer-to-Peer Networks, XXVI International Conference of the Chilean Computer Science Society (SCCC 2007), Iquique, Chile, Nov. 8-9, 2007. Isabelle Dony. Design, Implementation, and Evaluation of MPVS: A Tool to Support the Teaching of a Programming Method, Ph.D. dissertation, Department of Computing Science and Engineering, Université catholique de Louvain, Sep. 2007. Donatien Grolaux. Transparent Migration and Adaptation in a Graphical User Interface Toolkit, Ph.D. dissertation, Department of Computing Science and Engineering, Université catholique de Louvain, Sep. 2007. Peter Van Roy and Seif Haridi. Programmation: Concepts, techniques et modèles (in French), translated and adapted from the English version by Peter Van Roy, Dunod Éditeur, 368 pages, Sep. 2007. Peter Van Roy. Reflections on Self Management in Software Development, invited talk, Scottish Programming Language Seminar, Edinburgh, UK, Sep. 28, 2007. Also invited lecture, Almende Summer School, Rotterdam, the Netherlands, Aug. 29, 2007. Isabelle Cambron, Mathieu Cuvelier, Gregory de le Vingne, Maxime Romain, Cécile Toint, and Peter Van Roy. La Programmation en Première Année Basée sur l'Enrichissement Progressif de Micromondes Multi-Agents (First-Year Programming Based on Progressive Enrichment of Multiagent Microworlds) (in French), Master's thesis, Department of Computing Science and Engineering, Université catholique de Louvain, Aug. 16, 2007. Boris Mejías and Jorge Vallejos. Implementing Self-Adaptability in Context-Aware Systems, 6th International Workshop on Multiparadigm Programming with Object-Oriented Languages (MPOOL 2007), at ECOOP 2007, Berlin, Germany, July 31, 2007. Boris Mejías, Donatien Grolaux, and Peter Van Roy. Improving the Peer-to-Peer Ring for Building Fault-Tolerant Grids, CoreGRID Workshop on Grid Programming Model, Grid and P2P Systems Architecture, Grid Systems, Tools, and Environments, FORTH-ICS, Heraklion, Greece, June 12-13, 2007 (talk slides). Antoine Perdaens and Raphaël Slinckx. Knowledge Plaza: A Collaborative Tool for Knowledge Sharing among Experts, Master's thesis, Department of Computing Science and Engineering, Université catholique de Louvain, June 8, 2007. The company Knowledge Plaza was awarded Belgian Startup of the Year 2011, by the Data News Awards for Excellence. Peter Van Roy. Self Management and the Future of Software Design, Springer ENTCS 182, June 2007. Proceedings of Third International Workshop on Formal Aspects of Component Software (FACS '06), Sep. 2006 (talk slides). Fred Spiessens. Patterns of Safe Collaboration, Ph.D. dissertation, Department of Computing Science and Engineering, Université catholique de Louvain, Feb. 2007. Boris Mejías, Yves Jaradin, and Peter Van Roy. Improving Robustness in P2PS and a Generic Belief Propagation Service for P2PKit, Technical Report, Department of Computing Science and Engineering, Université catholique de Louvain, Dec. 2006. Luis Quesada. Solving Constrained Graph Problems using Reachability Constraints based on Transitive Closure and Dominators, Ph.D. dissertation, Department of Computing Science and Engineering, Université catholique de Louvain, Nov. 2006. Sébastien Mouthuy, Luis Quesada, and Grégoire Dooms. Search heuristics and optimisations to solve package installability problems by constraint programming, Research Report, Department of Computing Science and Engineering, Université catholique de Louvain, Oct. 2006. Raphaël Collet and Peter Van Roy. Failure Handling in a Network-Transparent Distributed Programming Language, Recent Advances in Exception Handling Techniques, Springer-Verlag LNCS volume 4119, 2006 (talk slides). Peter Van Roy. Convergence in language design: a case of lightning striking four times in the same place, invited talk, Eighth International Symposium on Functional and Logic Programming (FLOPS 2006), Fuji Susono, Japan, Springer-Verlag LNCS volume 3945, April 2006. (talk slides, demonstration code). Luis Quesada, Peter Van Roy, Yves Deville, and Raphaël Collet. Using Dominators for Solving Constrained Path Problems, Eighth International Symposium on Practical Aspects of Declarative Languages (PADL 06), Charleston, South Carolina, Springer-Verlag LNCS volume 3819, January 2006. Peter Van Roy, Ali Ghodsi, Seif Haridi, Jean-Bernard Stefani, Thierry Coupaye, Alexander Reinefeld, Ehrhard Winter, and Roland Yap. Self Management of Large-Scale Distributed Systems by Combining Peer-to-Peer Networks and Components, CoreGRID Technical Report, Number TR-0018, Dec. 2005. Boris Mejías, Raphaël Collet, Konstantin Popov, and Peter Van Roy. Improving Transparency of a Distributed Programming System, CoreGRID Integration Workshop, Pisa, Italy, Nov. 2005. Peter Van Roy and Seif Haridi. Programowanie. Koncepcje, techniki i modele (Concepts, techniques, and models of computer programming) (in Polish), Helion SA Publishing Group, Oct. 2005. Donatien Grolaux, Jean Vanderdonckt, and Peter Van Roy. Attach me, detach me, assemble me like you work, Tenth IFIP TC13 International Conference on Human-Computer Interaction (INTERACT 2005), Rome, Italy, Sep. 2005. Fred Spiessens, Yves Jaradin, and Peter Van Roy. SCOLL and SCOLLAR: Safe Collaboration based on Partial Trust, Research Report RR2005-12, Department of Computing Science and Engineering, Université catholique de Louvain, 2005. Fred Spiessens, Yves Jaradin, and Peter Van Roy. Using Constraints to Analyze and Generate Safe Capability Patterns, Research Report RR2005-11, Department of Computing Science and Engineering, Université catholique de Louvain, 2005. Yves Jaradin, Fred Spiessens, and Peter Van Roy. SCOLL: A Language for Safe Capability Based Collaboration, Research Report RR2005-10, Department of Computing Science and Engineering, Université catholique de Louvain, 2005. Fred Spiessens and Peter Van Roy. 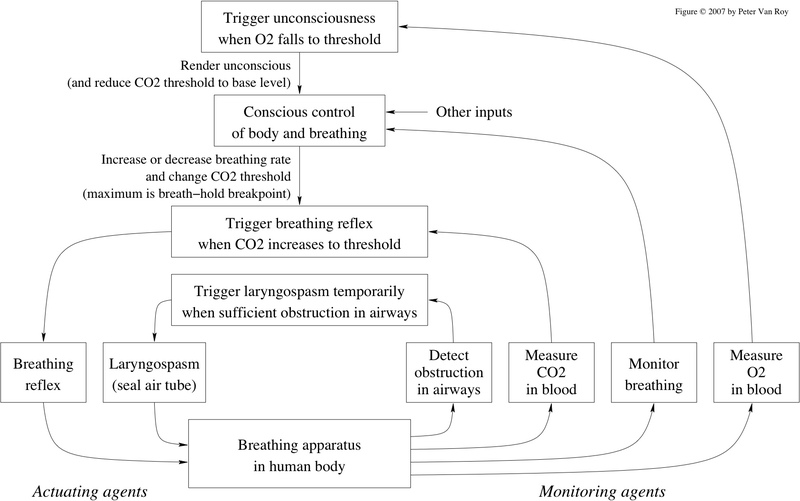 A Practical Formal Model for Safety Analysis in Capability-Based Systems, Symposium on Trustworthy Global Computing (TGC 2005), Edinburgh, UK, Springer-Verlag LNCS volume 3705, 2005. Luis Quesada, Peter Van Roy, and Yves Deville. Speeding up Constrained Path Solvers with a Reachability Propagator, Research Report RR2005-07, Department of Computing Science and Engineering, Université catholique de Louvain, March 2005. Yves Jaradin, Fred Spiessens, and Peter Van Roy. Capability Confinement by Membranes, Research Report RR2005-03, Department of Computing Science and Engineering, Université catholique de Louvain, March 2005. Valentin Mesaros, Raphaël Collet, Kevin Glynn, and Peter Van Roy. A Transactional System for Structured Overlay Networks, Research Report RR2005-01, Department of Computing Science and Engineering, Université catholique de Louvain, March 2005. Peter Van Roy (Ed.). Multiparadigm Programming in Mozart/Oz, Second International Conference (MOZ 2004), Charleroi, Belgium, Oct. 7-8, 2004, Revised Selected and Invited Papers. Springer-Verlag Lecture Notes in Computer Science, volume 3389, March 2005. Table of contents, Springer Web Site. Fred Spiessens and Peter Van Roy. The Oz-E Project: Design Guidelines for a Secure Multiparadigm Programming Language, Springer-Verlag LNCS volume 3389, March 2005. Kevin Glynn and Peter Van Roy. Multi-consistency in Peer-to-Peer Computing, Research Report RR2005-04, Department of Computing Science and Engineering, Université catholique de Louvain, Feb. 2005. Stefano Gualandi and Luis Quesada. Enhancing Finite Set Constraint Programming with Probe Backtracking Search (Poster slides), 19th Workshop on (Constraint) Logic Programming, Ulm, Germany, Feb. 2005. Raphaël Collet. Playing the Minesweeper with Constraints, Second International Mozart/Oz Conference (MOZ 2004), Charleroi, Belgium, October 2004. Springer-Verlag LNCS volume 3389, 2005. Valentin Mesaros, Bruno Carton, and Peter Van Roy. P2PS: Peer-to-Peer Development Platform for Mozart, Second International Mozart/Oz Conference (MOZ 2004), Charleroi, Belgium, October 2004. Springer-Verlag LNCS volume 3389, 2005. Software available in MOGUL archive. Donatien Grolaux, Kevin Glynn, and Peter Van Roy. A Fault Tolerant Abstraction for Transparent Distributed Programming, Second International Mozart/Oz Conference (MOZ 2004), Charleroi, Belgium, October 2004. Springer-Verlag LNCS volume 3389, 2005. Sameh El-Ansary, Donatien Grolaux, Peter Van Roy, and Mahmoud Rafea. Overcoming the Multiplicity of Languages and Technologies for Web-based Development Using a Multiparadigm Approach, Second International Mozart/Oz Conference (MOZ 2004), Charleroi, Belgium, October 2004. Springer-Verlag LNCS volume 3389, 2005. Bruno Carton and Valentin Mesaros. Improving the Scalability of Logarithmic-Degree DHT-based Peer-to-Peer Networks, Euro-Par 2004, Pisa, Italy, Aug.-Sep. 2004. Donatien Grolaux, Peter Van Roy, and Jean Vanderdonckt. Migratable User Interfaces: Beyond Migratory Interfaces, First Annual International Conference on Mobile and Ubiquitous Systems (MobiQuitous 2004), Boston, Massachusetts, Aug. 2004. Raphaël Collet. Laziness and Declarative Concurrency, 2nd Workshop on Object-Oriented Language Engineering for the Post-Java Era: Back to Dynamicity, part of 18th European Conference on Object-Oriented Programming (ECOOP 2004), Oslo, Norway, June 2004. Stefano Gualandi and Bruno Tranchero. Concurrent Constraint Programming-Based Path Planning for Unmanned Air Vehicles, SPIE Defense and Security Symposium, Orlando, Florida, April 2004. Peter Van Roy and Seif Haridi. Concepts, Techniques, and Models of Computer Programming, MIT Press, 929 pages, March 2004. Clement Baker-Finch, Kevin Glynn, and Simon Peyton Jones. Constructed product result analysis for Haskell, Journal of Functional Programming (JFP), Cambridge University Press, March 2004, pages 211-245. Erik Klintskog, Valentin Mesaros, Zacharias El Banna, Per Brand, and Seif Haridi. A Peer-to-Peer Approach to Enhance Middleware Connectivity, 7th International Conference on Principles of Distributed Systems (OPODIS'03), December 2003. Bruno Carton and Valentin Mesaros. P2PS: A Peer-to-Peer Library Offering Primitives and Services for Applications, MOGUL Archive, Mozart Programming System, November 2003. Peter Van Roy, Per Brand, Denys Duchier, Seif Haridi, Martin Henz, and Christian Schulte. Logic Programming in the Context of Multiparadigm Programming: the Oz experience, Journal of Theory and Practice of Logic Programming (TPLP), Cambridge University Press, November 2003, pages 715-763. Juris Reinfelds, Joe Bergin, Jonathan Bredin, Richard Rasala, Kirk Scott, and Peter Van Roy. Concepts First in Introductory CS Courses: Working Group Report ITiCSE 2003, Research Report RR2003-08, Department of Computing Science and Engineering, Université catholique de Louvain, October 2003. Alfred Spiessens, Raphaël Collet, and Peter Van Roy. Declarative Laziness in a Concurrent Constraint Language, 2nd International Workshop on Multiparadigm Constraint Programming Languages (MultiCPL 2003), at the 9th International Conference on Principles and Practice of Constraint Programming (CP2003), Kinsale, Ireland, Sep. 2003. Luis Quesada, Stefano Gualandi, and Peter Van Roy. Implementing a Distributed Shortest Path Propagator with Message Passing, 2nd International Workshop on Multiparadigm Constraint Programming Languages (MultiCPL 2003), at the 9th International Conference on Principles and Practice of Constraint Programming (CP2003), Kinsale, Ireland, Sep. 2003 (PostScript, PDF). Valentin A. Mesaros, Bruno Carton, and Peter Van Roy. S-Chord: Using Symmetry to Improve Lookup Efficiency in Chord, International Conference on Parallel and Distributed Processing Techniques and Applications (PDPTA'03), Las Vegas, Nevada, June 2003 (PowerPoint slides). Peter Van Roy, Joe Armstrong, Matthew Flatt, and Boris Magnusson. The Role of Language Paradigms in Teaching Programming, 34th Technical Symposium on Computer Science Education (SIGCSE 2003), February 2003. Luc Onana Alima, Valentin Mesaros, Peter Van Roy, and Seif Haridi. NetProber: A Component for Enhancing Efficiency of Overlay Networks in P2P Systems, 2nd IEEE International Conference on Peer-to-Peer Computing (P2P2002), Linköping, Sweden, Sep. 2002. Peter Van Roy and Seif Haridi. Teaching Programming Broadly and Deeply: The Kernel Language Approach, IFIP Working Group 3.2 Working Conference ``Informatics Curricula, Teaching Methods, and Best Practice'' (ICTEM 2002), Florianopolis, Brazil, July 2002. Updated version that appeared in the Workshop on Functional and Declarative Programming in Education (FDPE02) at PLI2002, Pittsburgh, PA, October 2002. Donatien Grolaux, Peter Van Roy, and Jean Vanderdonckt. FlexClock: A Plastic Clock Written in Oz with the QTk Toolkit, Proceedings of 1st International Workshop on Task Models and Diagrams for User Interface Design (TAMODIA 2002), Bucharest, Romania, July 2002. Seif Haridi, Peter Van Roy, Per Brand, Michael Mehl, Ralf Scheidhauer, and Gert Smolka. Efficient Logic Variables for Distributed Computing, ACM Transactions on Programming Languages and Systems (TOPLAS), May 1999, pp. 569-626. Seif Haridi, Peter Van Roy, Per Brand, and Christian Schulte. Programming Languages for Distributed Applications, Journal of New Generation Computing, May 1998, Vol. 16, No. 3, pp. 223-261. Peter Van Roy, Seif Haridi, Per Brand, Gert Smolka, Michael Mehl, and Ralf Scheidhauer. Mobile Objects in Distributed Oz, ACM Transactions on Programming Languages and Systems (TOPLAS), Sep. 1997, pp. 804-851. Hassan Aït-Kaci, Bruno Dumant, Richard Meyer, Andreas Podelski, and Peter Van Roy, The Wild LIFE Handbook, Digital Equipment Corporation, Paris Research Laboratory, March 1994. Peter Van Roy, 1983-1993: The Wonder Years of Sequential Prolog Implementation, Digital Equipment Corporation, Paris Research Laboratory, Dec. 1993. Peter Van Roy. 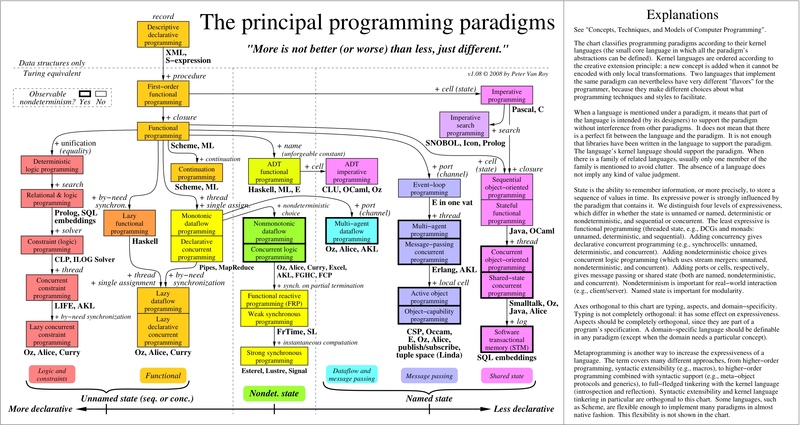 Can Logic Programming Execute as Fast as Imperative Programming?, Ph. D. dissertation, Technical Report UCB/CSD 90/600, Computer Science Division, University of California, Berkeley, Dec. 1990. The above publications give a flavor of what we do. For more, see the Mozart publication page, Van Roy's publication page, the SELFMAN project page, and the PEPITO project page. Last updated Aug. 2011 by Peter Van Roy.